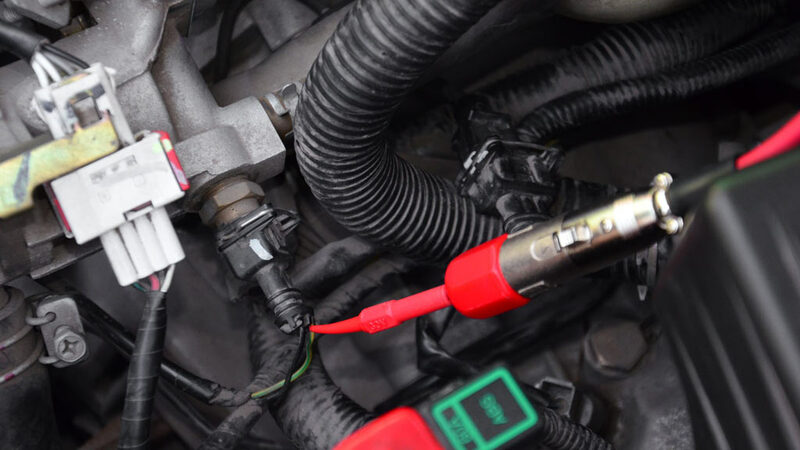 Typical location of the engine coolant temperature sensor. 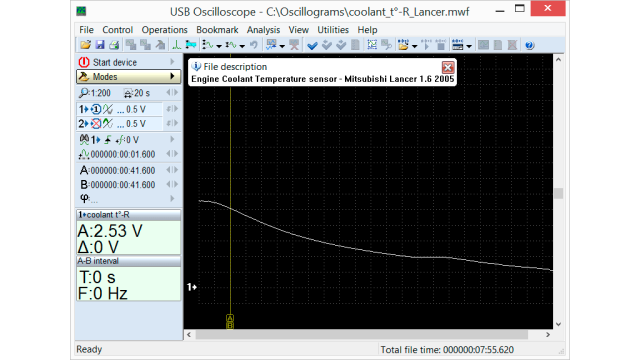 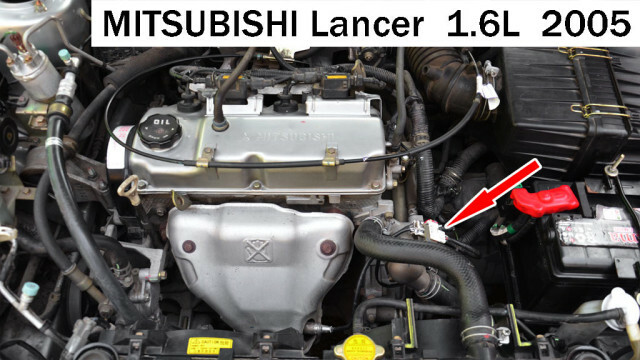 Output voltage waveform of the engine coolant temperature sensor in good condition on Mitsubishi Lancer 1.6 2005, recorded while the engine was cold and running at idle. 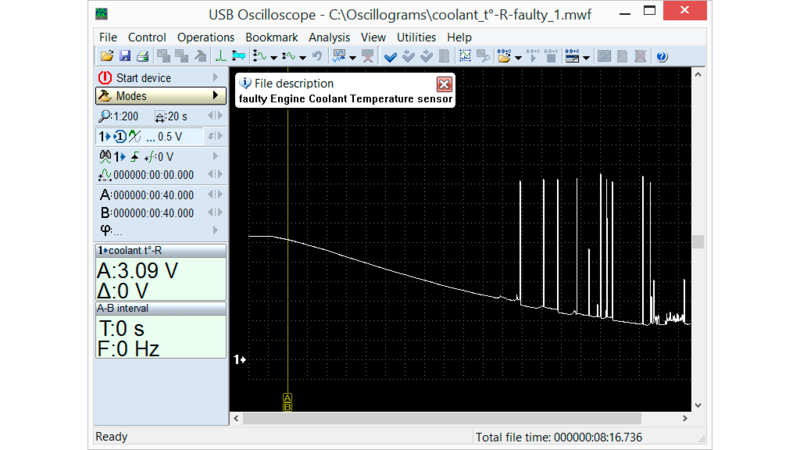 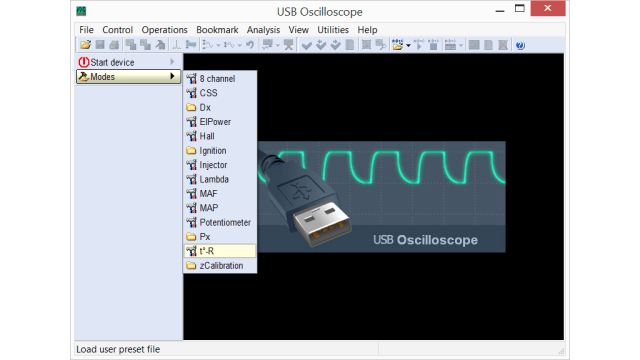 Output voltage waveform of the engine coolant temperature sensor with a malfunction, recorded while the engine was cold and running at idle.